I relocated to San Antonio from the West Coast, having previously lived in Seattle and San Francisco. When I got to San Antonio I was desperate to find a good microbrew and some art. I did a search for where I could find those things and came across the Blue Star Brewery and Blue Star Arts Complex, so that’s where I went. Once I arrived and ordered a beer, I noticed the friendliness of the bartender and the folks around me. They were all so eager to chat me up about San Antonio. The one piece of advice they gave me was to be patient, because it would take some time to discover the city but eventually I would. They were right. 18 years later, I feel like I’ve truly discovered San Antonio. I’m always blown away by the friendliness and the warmth of San Antonio’s people. They are so open to taking new people in and showcasing their city. This experience was new to me but was one that has had a profound impact on me, because that’s what I strive to do now. I try to share this city, talk about it and teach others about it every day. 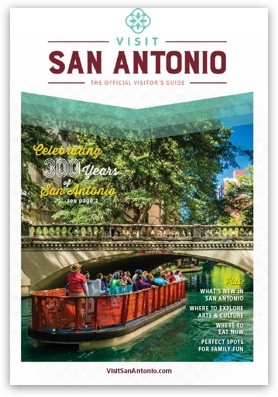 The personality of San Antonio is deeply rooted in the city’s culture, heavily influenced by the large Latino community, is beautifully generous and carries an incredible love and respect for family, celebration, the willingness to help others, humility and pride. We believe in passing our traditions to friends, new and old. The San Antonio experience is not rushed, like in other cities. We take the time to share, really share the great things that are happening in our city with our visitors. We do this with pride and enthusiasm. I couldn’t imagine living anywhere else now.